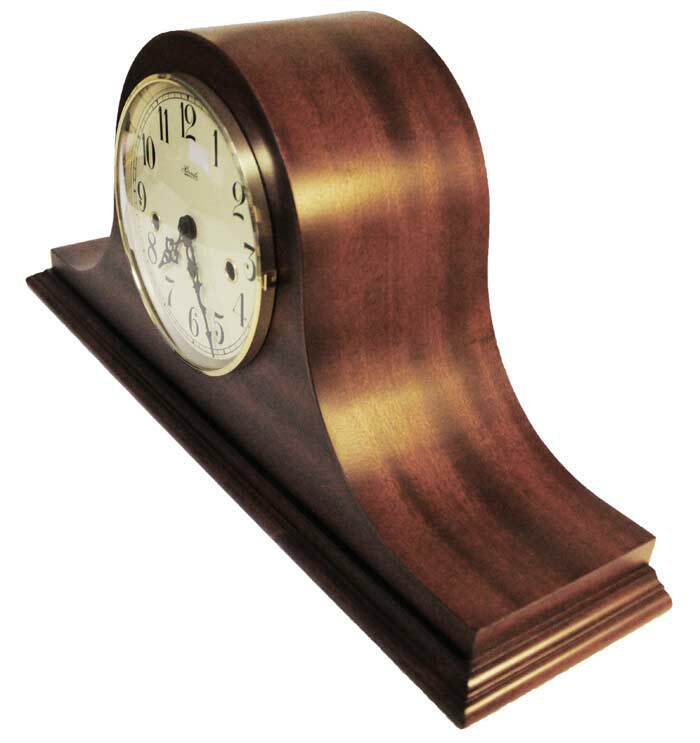 Traditional Cherry tambour style chiming mantel clock with sloping lines. Off white dial has Arabic numerals and old style serpentine hands. 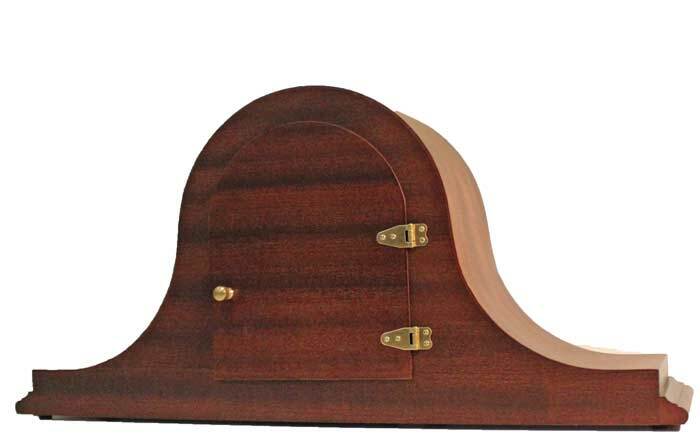 Hinged front bezel is milled brass and opens from the right side to allow access to the hands to make a change in the time or to wind the clock. The dial is protected by a brass bezel with convex glass lens which will reduce glare. 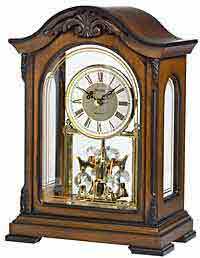 German made Hermle Brass 7-day key wound movement plays quarter hour Westminster chimes with full hour count. 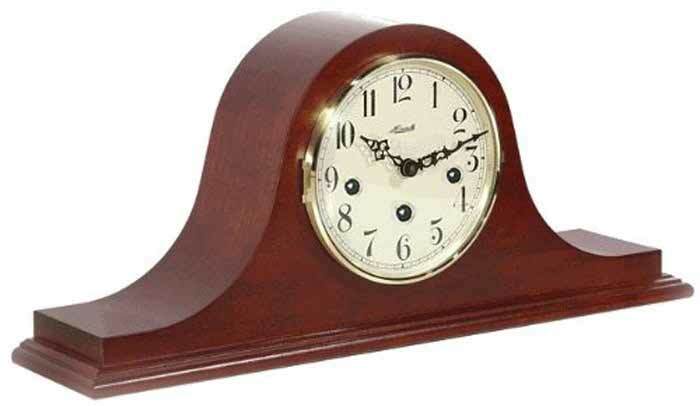 Clocks for sale at The Clock Depot including the 21135-N90340 at discount prices.